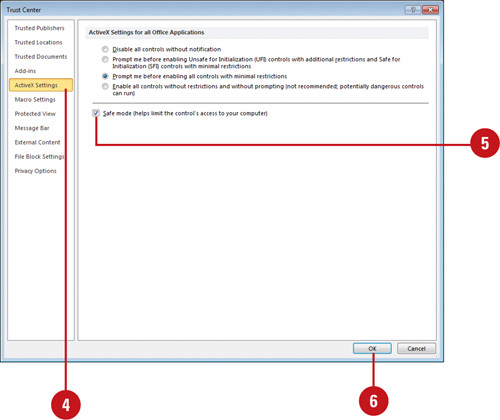 Microsoft Office uses two types of safe modes—Automated and User-Initiated—when it encounters a program problem. 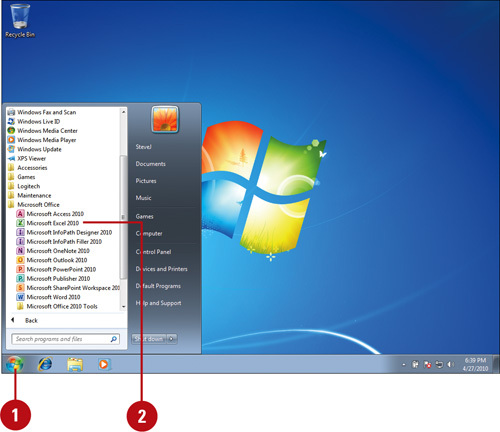 When you start an Office program, it automatically checks for problems, such as an extension not properly loading. If the program is not able to start the next time you try, the programs starts in Automated Safe mode, which disables extensions—macros, ActiveX controls, and add-ins—and other possible problem areas. If you’re having problems and the Office program doesn’t start in Automated Safe mode, you can start the program in User-Initiated Safe mode. When you start an Office program in Office Safe mode, not all features are available. For instance, templates can’t be saved, AutoCorrect list is not loaded, preferences cannot be saved, and all command-line options are ignored except /a and /n. 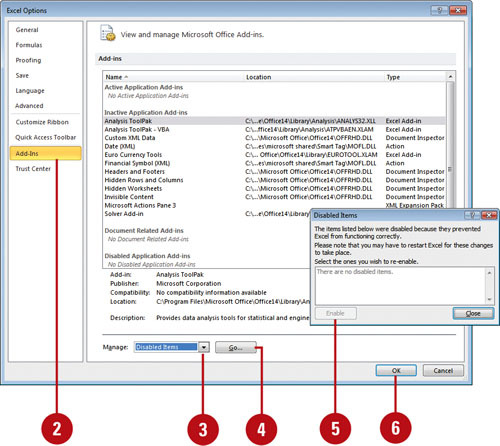 Before you can use Office Safe mode, you need to enable it in the Trust Center. When you’re in safe mode, you can use the Trust Center to find out the disabled items and enable them one at a time to help you pin point the problem. 4. In the left pane, click ActiveX Settings. 5. Select the Safe Mode (helps limit the control’s access to your computer) check box. 1. Click the Start button on the taskbar, point to All Programs, and then click Microsoft Office. 2. Press and hold Ctrl, and then click Microsoft Excel 2010. You can use the Run dialog box to work in Safe mode. At the command prompt, you can use the /safe parameter at the end of the command-line to start the program. 2. In the left pane, click Add-Ins. 3. Click the Manage list arrow, and then click Disabled Items. 5. In the dialog box, you can select an item, click Enable to activate and reload the add-in, and then click Close.